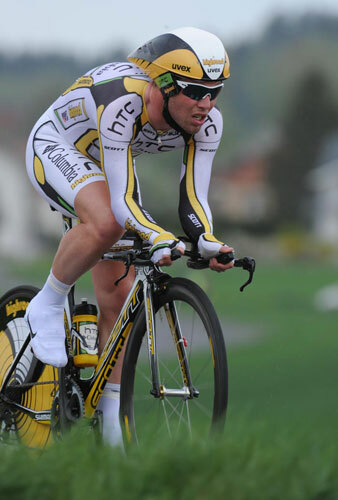 Australian Michael Rogers (HTC-Columbia) has moved into the overall lead in the Tour de Romandie after placing fourth in Friday’s individual time trial. 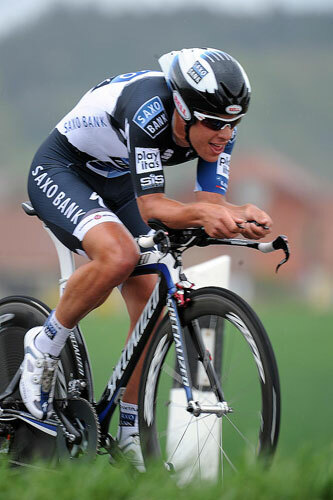 The day was won by Rogers’ compatriot Richie Porte (Saxo Bank), who posted a time of 30 minutes and 54 seconds on the 23.4km course, surprising many of the favourites. Alejandro Valverde (Caisse d’Epargne) was second, some 26 seconds adrift of Porte’s super-quick time. 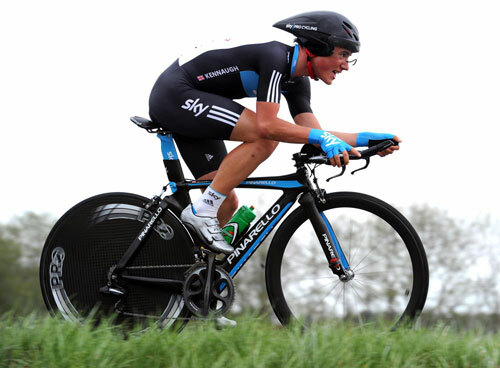 Russian Vladimir Karpets (Katusha) was third at 27 seconds. Rogers started the day in fifth place overall behind leader Peter Sagan (Liquigas), but Sagan could only post a time of 32 minutes and 29 seconds and slipped down the GC. Valverde moved up to second overall, with Karpets in third. Saturday’s penultimate fourth stage features two first category climbs over its 157.9km route. The last of these is 25km from the finish, followed by an uphill slog to Chatel, and may force the favourites to show their hand.